Last month I got to tag along on a work trip with the hubs. We headed to the bay area, but decided to forego the lovely San Francisco hills and instead check out a new city- Oakland. I would describe it as San Francisco's cute and chill sibling. It's very easy to navigate by foot or bike, and has amazing waterfront sights to see. Here are a few of my favorite must-sees if you find yourself on a West Coast weekend excursion. The Waterfront Hotel sucked me right in from a Google search; I think it was all of the anchors and nautical touches that initially caught my eye. I'm a real sucker for sailor's rope and marine vibes! Though not brand-new, this was a great choice for lodging for so many reasons. 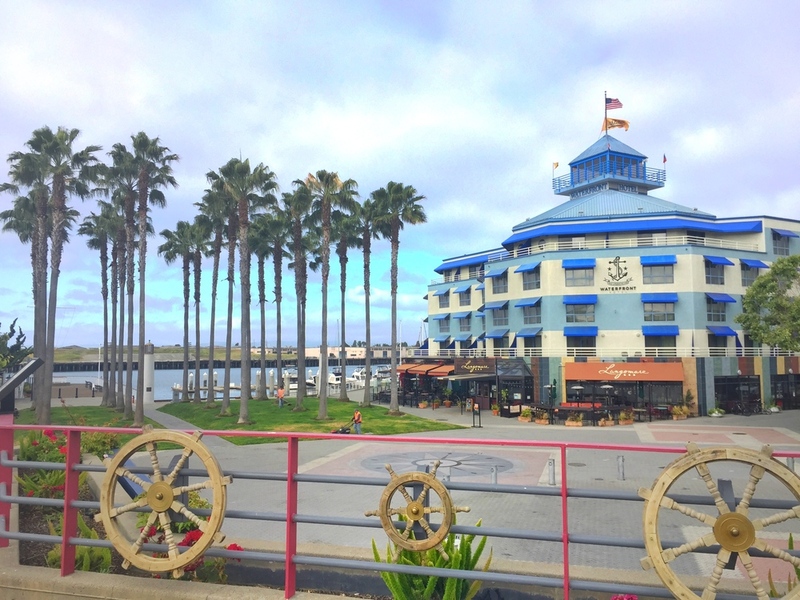 Nestled in the heart of Jack London Square, this hotel offers great views, friendly staff, super comfy accommodations, and is walking distance to tons of great restaurants and shops. It was really affordable, and it was nice to avoid the traffic and higher energy that you encounter across the bridge in San Fran. Plus, apparently a waterfront hotel in this town doesn't come with nearly as high of a price tag as you would think. I always start any trip with a Pinterest hunt for cool coffee shops and a fun watering hole. Luckily I discovered Haven for cocktails & Modern Coffee (the larger location on 19th street). Haven was a short walk from our hotel and seemed like the kind of craft cocktail joint you would find in a much larger city. All over Oakland and San Fran I felt like plants were taking over in an awesome way, and Haven was no exception. 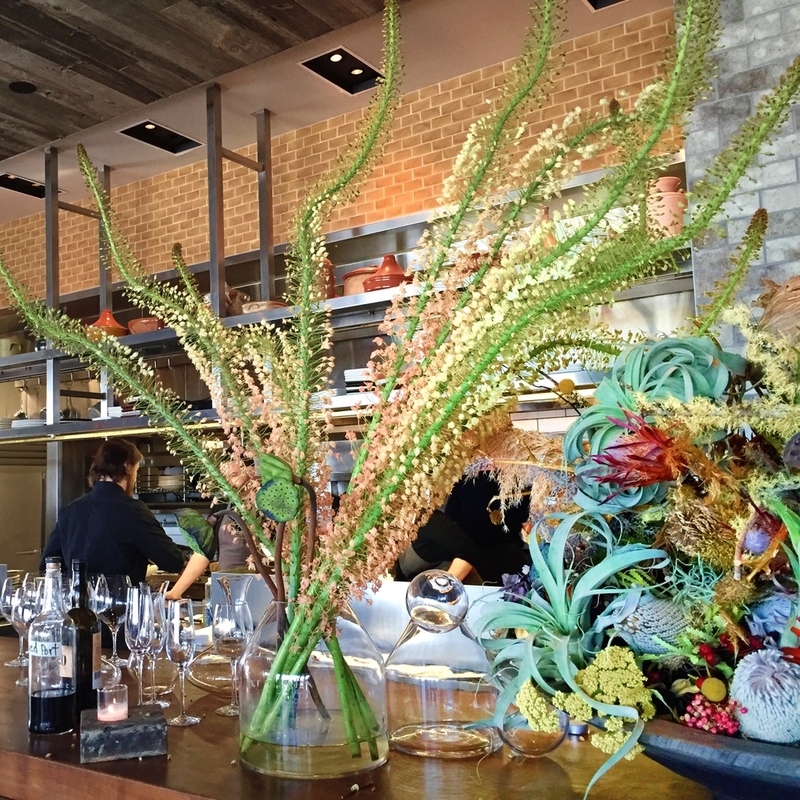 It has a little oasis of plants outside, and the proprietor's wife creates the most gorgeous giant arrangements I've ever seen to adorn the bar area. The drinks were delicious and we had an unforgettable dinner there, too. Modern Coffee was also a great place to discover. 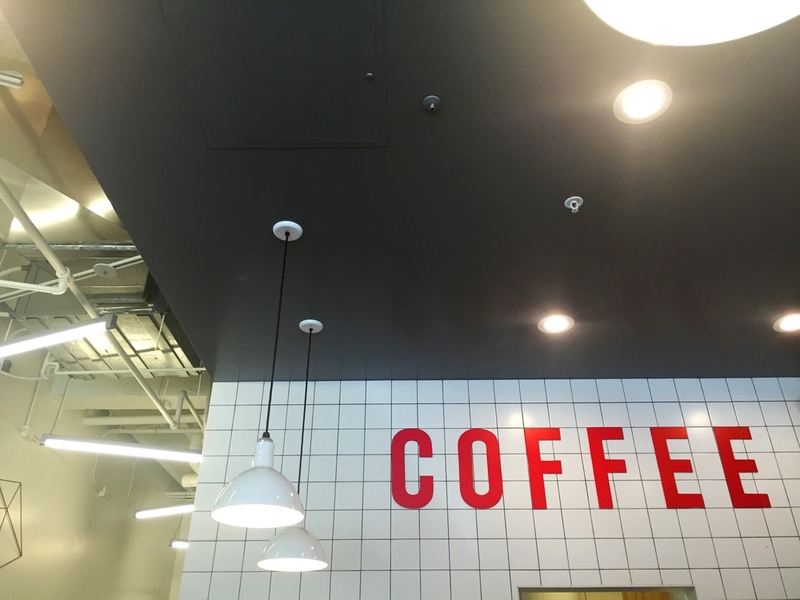 The decor was bright and bold like the coffee, & it led me on the best tangent to find other local spots. I got all my shopping recommendations from a store owner across the street, and I tried my first Cronut around the corner at Donut Savant. Kosa Arts was my first stop, and wound up being a great place to find all kinds of local goods. The owner also uses the store as her workshop, and I came home with one of her beautiful tunics made from vintage Japanese fabric. 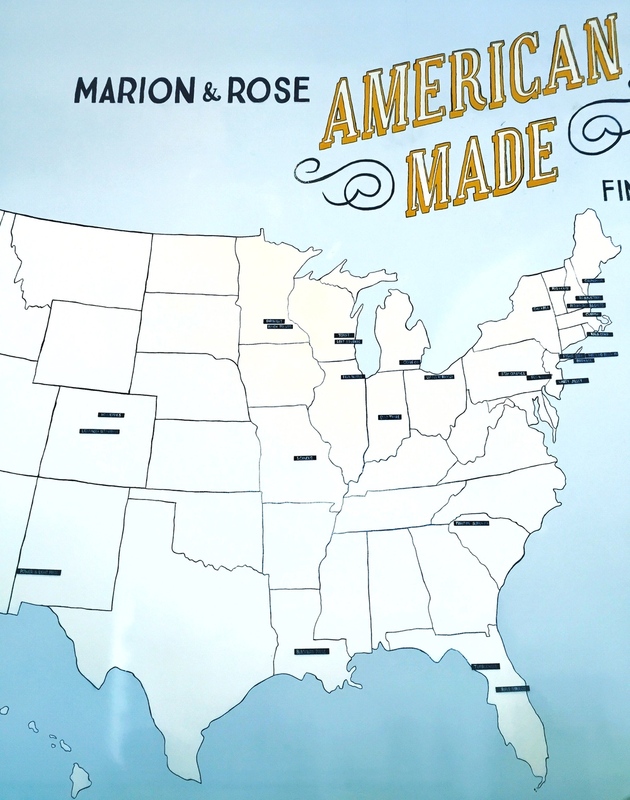 The Owner recommended I check out Marion & Rose's, which had awesome stationery and gifts that are ALL American made. I got to meet their artist in residence who was responsible for some of the great cards in the shop, as well as the colorful painted window. Just down the street was Umami Mart, a fun bar accessories shop. I'm a sucker for Japanese organization, so combine that aesthetic with bar ware and you have a store that makes you want to shop and take pictures of everything at the same time. They even had some Charleston cocktail mixes! Jack London Square is named for the author, and his actual cabin is smack dab in the middle of the square! It was a very neat sight to see, along with Heinold's First and Last Chance Saloon. It's on the U.S. National Register of Historic Places, built in 1880 from remnants of an old whaling ship (uneven floors and all). Jack London did a lot of writing there and mentions it a lot in his books. Across the way and throughout Jack London Square there are great water views and a walking path. It's easy to get a bike or paddle board rental, or grab a bocce partner and have fun at Plank Oakland. San Francisco is a great city, but the next time you are in the bay area don't miss out on Oakland!